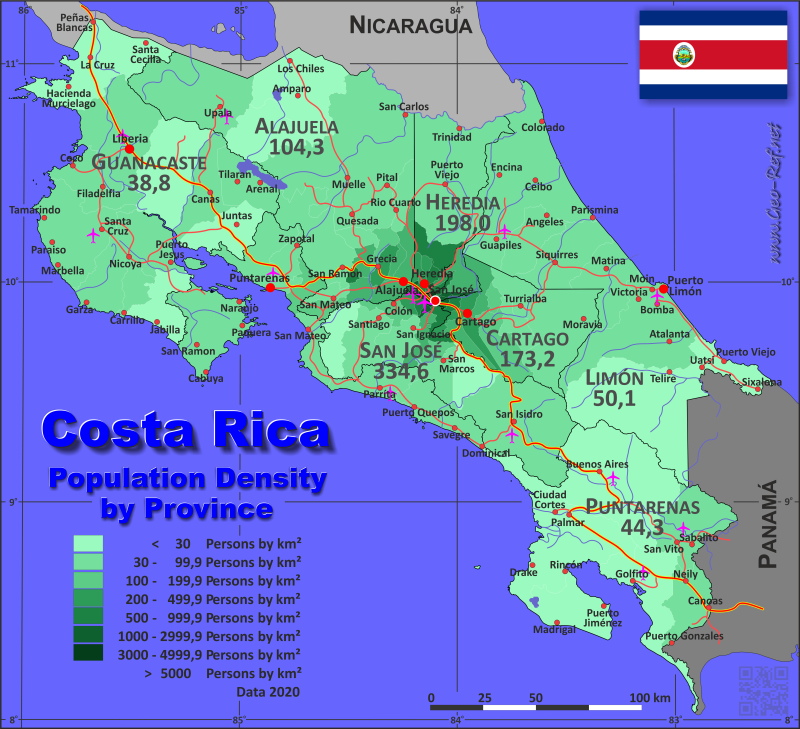 Costa Rica - Click on the map to get a enlarged image in PDF format! The provinces are divided in cantons, which are shown in the following table. Since no ISO 3166-2 structures are defined for the cantons, the HASC abbreviations are displayed in this table.